A leading Highland Park, Texas interior design store has opened to provide clients with a blend of styles. The Interior offers contemporary, transitional, traditional, classic and European styles. The Interior has announced that it specializes in a blend of styles, offering clients furniture in contemporary, transitional, traditional, classic and European styles. The company is an authorized dealer for a wide range of furniture lines, from Jonathan Charles to Theodore Alexander, Maitland Smith, and others. The site explains that anyone in the Highland Park, Texas area looking for new furniture can get in touch with the expert team at The Interior. The designers at The Interior have access to a wide range of furniture to bring the clients interior to life. The Interior offers a custom furniture line with upholstery and case goods, in addition to a vast assortment of fabrics, leathers and finishes. In addition to this, the team is able to create new or custom pieces. When it comes to the best furniture specialists in Highland Park, TX, The Interior is proud to help. The company is known for its premium, high quality service, and strives to ensure that every client gets the best deal when looking for Highland Park furniture for their home. The Interior sources only the finest materials and options available for clients’ home or office. What’s more, the friendly, knowledgeable and talented team strives to always to be there to help. This means that for anyone looking for the ideal furniture option in Highland Park, Texas, they can get in touch with The Interior for the best service. 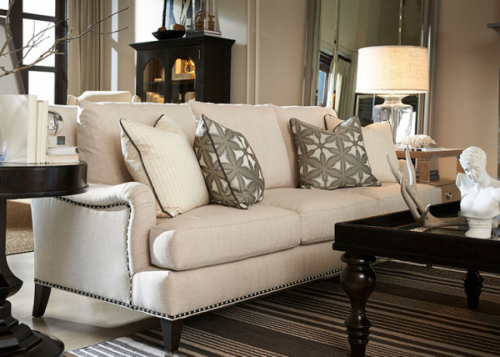 In addition to the Highland Park furniture for the home, the company offers a variety of other decor options, window treatments, and silk floral design.